Gold coins and Kruger Rands in particular have stood the test of time and delivered impressive returns in both the medium and long term. It is for this very reason that Gold has become known as the safe haven of investments with massive investment in Gold Bullion seen during times of unease in the financial markets. Buying Gold coins on a regular basis every month over a period of time has shown to be the most effective way to invest in Gold and shows a very good return on investment. Gold Bullion is extremely easy to trade and can be traded at a moments notice at the prevailing sell price. Therefore, as a retirement investment, Gold Coins and in particular Kruger Rands are a very good way to shore up your retirement savings. It has a certain amount of risk associated with it but when you look at the medium and long terms returns associated with investing in Gold Coins we are able to come very close to guaranteeing a return. 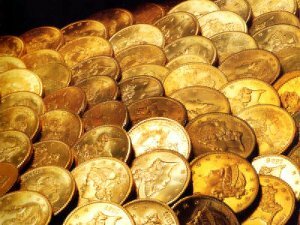 Rare Gold Coins Investments are more speculative and by their very nature have the ability to return huge returns. The Mandela Gold Coins are a very Good example of impressive growth over the short and medium term with no sign of the value going down any time soon. With Mr Mandela nearing the end of his life, investors holding the limited edition Mandela Gold coins will be waiting in anticipation for any news relating to Mr Mandela’s health. Like Art, a limited edition Gold Coin will more than likely shoot up in price after the death of the Artist and while we hope and pray that Mr <Mandela lives for a very long time, the reality is that the holders of these investment Gold coins are in for a windfall. Buying Gold coins should not replace your retirement annuities and pension or provident fund contributions which offer guaranteed income for your retirement but are an excellent alternative to shoring up your retirement savings and bridging the gap.